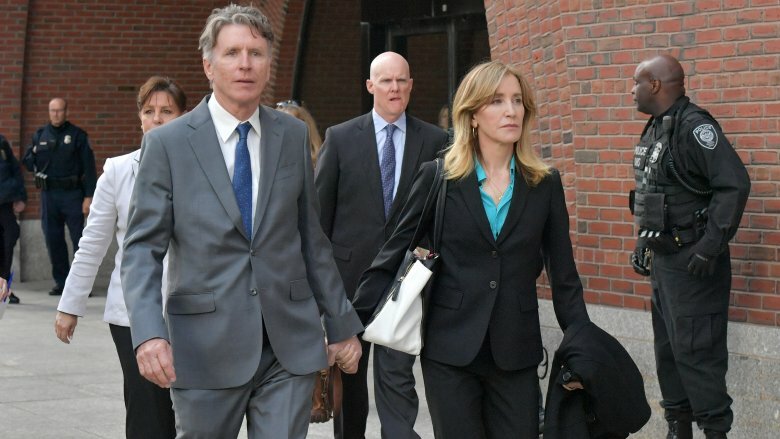 According to a TMZ exclusive, published on Wednesday, April 3, 2019, prosecutors on the case will be asking that the dozens of parents indicted in the "Operation Varsity Blues" scam receive jail time — regardless of fame. 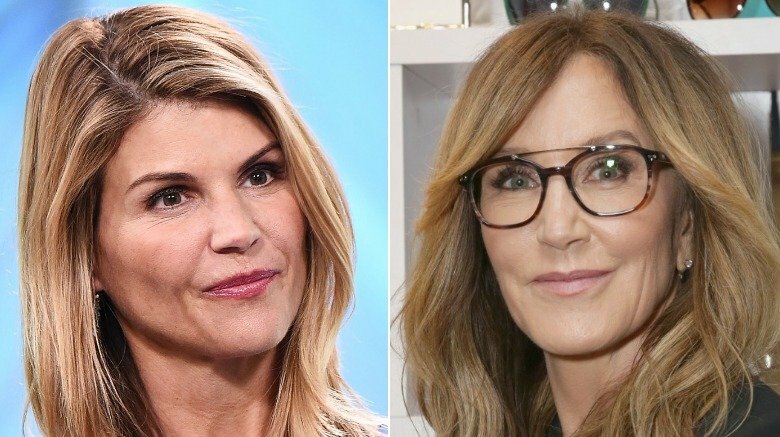 The media outlet's federal law enforcement sources claimed that while it's "likely" the TV stars will pursue the plea bargain route, "Any plea would come with a recommendation by prosecutors that the actresses serve some time behind bars." However, the judge in the case would make the final call following the U.S. Attorney's recommendation. "You can't have people being treated differently because they have money," an anonymous official told the gossip rag. "That's how we got to this place. Every defendant will be treated the same." Readers are most likely aware that Loughlin, 54, and Huffman, 56, were among the 50 people arrested in this elaborate, nationwide scheme, which first broke in mid-March 2019. Ultimately, they've been accused of bribing their kids' ways into elite colleges. As Nicki Swift previously reported, Loughlin and her clothing designer husband, Mossimo Giannulli, allegedly paid $500,000 for daughters Isabella Rose, 20, and Olivia Jade, 19, to be accepted as crew team recruits at the University of Southern California. Meanwhile, Huffman and her husband, Shameless star William H. Macy, allegedly paid $15,000 to have a proctor correct answers on eldest daughter 18-year-old Sofia Grace's SAT. While Loughlin, Giannulli, and Huffman have since been charged with felonies for conspiracy to commit mail fraud and honest services mail fraud, they've also faced severe social media backlash in the court of public opinion. Meanwhile, Loughlin and her social media influencer daughter, Olivia Jade, have since lost out on major gigs. More recently, these three were among 10 or so parents who appeared in a federal court hearing held in Boston, Mass. on Wednesday afternoon, April 3. According to CNN, "In court, they acknowledged their rights, charges, and maximum possible penalties. They waived a pretrial hearing, signed conditions of their release, and were free to leave." Despite their predicament, Loughlin, clad in a grey sweater, tan pantsuit, and glasses, appeared in high spirits prior to the hearing (via Page Six). With her trademark smile, she reportedly told the press, "I'm great!" while heading into the building, where she supposedly shook hands with the prosecuting team. Following the court appearance, a group of devoted fans showed their support for the actress, who's best known for her run as Aunt Becky on Full House and its Netflix reboot Fuller House. They reportedly yelled, "We love you, Lori!" Noticeably absent from this week's court appearance was Macy, who has notably not been charged in the case. Instead, a somber-looking Huffman ignored the press altogether while accompanied by brother Moore Huffman Jr. The Desperate Housewives alum wore a black pantsuit and teal blouse into the courthouse. Additionally, it's still unclear whether their respective daughters actually knew about the reported bribery. However, a Boston-based criminal defense attorney named Brad Bailey recently told Hollywood Life that it's possible their children could potentially be called to testify against their famous parents as their court proceedings continue. "Unlike when one spouse is called to testify against the other spouse, there is no such thing as daughter [testimonial] 'privilege' or daughter [testimonial] 'election' the way there is, by law, in most situations with spouses in an intact marriage," Bailey explained. "In other words, a daughter has no right to withhold confidential communications made by a parent if asked about them in court and no right to decline to testify against a parent (without risking contempt) if so subpoenaed to testify." However, due to the undeniably complicated optics surrounding this situation, this may be unlikely, as he went on to note, "Whether or not the government would want the negative PR of pitting a daughter against a parent in a court of law against that daughter's will in a case like this is altogether another question."